Before I started using it, I asked my Facebook likers and friends if they’d used it. This is what a couple of them had to say … and then I’ll give you MY opinion. “Solid, reliable and easy to use. No fiddly parts, no daft designs leaving you with no grip or textured metal to try and turn when you need a refill. The atomisers are readily available at a good price in most local vape stores too. I went to a Nautilus Mini from a Vapouriz Aerotank after having no end of problems with the Aerotank and never looked back. Easy to refill, change the coil and simple adjust airflow and never had a problem with it leaking. – Matt, friend and fellow vaper. I ordered mine from UK ECIG STORE – £19.99 which seems like a lot but when you compare it to other tanks of the same sort of calibre, you’ll see it’s about the right price. £15 – £20 is about what I would expect to say for a regular, run-of-the-mill tank that I can use every day. If you buy the replacement coils from UK ECIG STORE, you’re looking at £7.99 for a pack of five (which I think is actually quite cheap), and you can get them in 1.8ohm and 1.6ohm. I went for the 1.8 ohm. Before I started using the Aspire Nautilus Mini, I’d been using the Vapouriz Aerotank (no longer available) and I liked that one because it was easy to use and did pretty much the job I wanted it to do. The coils lasted me for about three or four weeks before I needed to change them, and I found that the e-liquids tasted and vaped pretty well too. For an everyday tank, it had everything I needed. The Aspire Nautilus Mini on the other hand, looks better I think. The curved mouthpiece makes it better to smoke than a straight mouthpiece, and I just like the way it looks in general. You can change the airflow by adjusting the swivel panel at the base of it, and it ‘clicks’ into place too so it’s not easily accidentally bumped around. There’s nothing worse than trying to inhale only to be met by a closer mouthpiece and a really tough job breathing in! The coils last for about the same length of time as the Aerotank – about three or four weeks (and in some cases even longer), and I actually find they’re cheaper to replace. The tank itself might have cost me more than the Vapouriz one, but the coils were cheaper and could be bought in more places. If you consider that the coils are lasting me around 3-4 weeks, £7.99 for a pack of five would last me around four or five months. Vaping with the Aspire Nautilus Mini is pleasant – nice and smooth, the same kind of vapour production from the first drag to the last. When the coil seems as though it’s dying, the taste isn’t actually too bad. With others I’ve tried, getting to the last few days of the coil has proved to be a really disgusting tasting experience. The silicone seal on the bottom of the tank ensures that nothing leaks, a problem I’ve had with the Aerotank and a few other clearomizers I’ve tried, and you refill it from the bottom too. It’s easily pulled apart to clean, and replacing the coil is super simple too – much the same as all the rest. You unscrew the base, unscrew the coil, replace it, refill with e-liquid, drag it through without inhaling to bring the flavour through the dry wicks, and you’re good to go. I’ve used a number of different e-liquids in the Aspire Nautilus Mini ranging from Nicogreen to V2 Cigs, Zeus Juice, and more. So far I haven’t found a single e-liquid that has made it go thick and gloopy so I think we might be on to a winner. The one downfall I can note in this Aspire Nautilus Mini review is that when you first fill it up (either the first time or just a simple subsequent refill), the tank gurgles a little, as though there is e-liquid in the mouthpiece. I’ve never had any of the liquid escape into my mouth, and after a few draws the gurgling noise goes away, so for me, it’s not the biggest problem in the world. It might annoy some people though. So … I think this Aspire Nautilus Mini review has been pretty positive, and with the exception of the gurgling sound when you first fill it up, I honestly can’t think of any bad things to say about it. It’s a pretty easy, simple and mid-way kind of tank, nothing too special or confusing about it, and for a beginner, I’d recommend it. In fact, I’d probably recommend it to anyone for a regular, everyday vape. **Additional notes added 17/07/2016: One of my friends mentioned that he got a lot of ‘fluff’ caught inside the mouthpiece of the Nautilus Mini tank, so he replaced it with the tank from the Vapouriz Aerotank instead. He got on much better with it and found it to be a better shape. I do get a lot of fluff in my Nautilus Mini tank mouthpiece, but I tend to get a lot of fluff in all of them … How about you? Honest Policy: I purchased the Aspire Nautilus Mini tank. My review was not paid for, and my opinion is just that – my opinion. My review is honest, and not swayed by the brand / manufacturer. If you purchase through some of the links on this review, I will earn a small percentage as an affiliate fee. In advance, I would just like to say thank you so much for your continued support. best-ecig.co.uk really appreciates it, as do I! Your support helps to keep the website going! 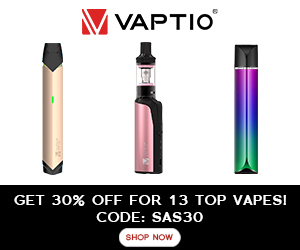 Previous: Vaping vs Smoking – Which Is Cheaper?